Julie Anderson first heard a viola as a student at Longfellow Elementary School. Julie rented an instrument through the school and started lessons. “I took that viola home,” she recalls, “and practiced it every day.” She performed with the school orchestra. “We had a great time,” she says. As Julie advanced to Lincoln Middle School and Deering High School, she joined a handbell choir and the school chorus as well as the orchestra. She had opportunities to perform with students in other school districts through regional music festivals and the All State Festival. One of her teachers, Sylvia Infantine, urged Julie to consider a career in music. Since graduating from Rice University, Julie has found diverse ways to make a living as a musician while living in Portland, within blocks of the Stevens Avenue schools that she attended. She plays viola and violin with the Bangor Symphony Orchestra. She’s performed with Ray LaMontagne, Rustic Overtones and other local bands. She plays wedding gigs in the summer, gives private Suzuki viola and violin lessons and teaches Suzuki at her son’s preschool. Kimara Nzamubona and his family fled to Burundi in 2004 to escape civil war in their home country, the Democratic Republic of Congo. Four years later, he arrived in the United States and enrolled as a junior at Portland High School. Kimara worked hard on schoolwork. “Science was pretty much my cup of tea,” he said. He also took full advantage of extracurricular activities, playing on the Portland High soccer team, competing with the school’s math team and tutoring other students in French. In the fall of his senior year, Kimara connected with a mentor through the Portland Mentoring Alliance. Jack Carr, a local engineer, would play a crucial role in his life. “Living in this country, where my parents have no knowledge of the educational system here, it was very tough for me because I had to do everything by myself,” Kimara says. Carr helped him stay on track academically and begin planning for his future. They visited colleges together and worked on applications and scholarships. Less than two years after his arrival in America, Kimara graduated from Portland High School with a financial aid package covering most of the costs of attending Colby College in Waterville. There, he studied chemistry. He worked on a University of Maine research project, done in collaboration with Colby, that measures iron in ocean water. Kimara became a U.S. citizen in January 2014. Jack Carr, his mentor, was there to share that milestone. Carr also attended Kimara’s graduation from Colby a few months later. Kimara has set his sights on becoming an environmental engineer specializing in water technologies. He hopes someday to help improve the quality of drinking water in his home country. See a video about Taurean Green. Taurean Green grew up on Munjoy Hill. When he was 10 years old, he went with his class at the former Jack Elementary School to see “The Nutcracker” ballet at Merrill Auditorium. “I instantly became interested,” he recalls. The following year, Portland Ballet Company held auditions at Jack for a new program, funded by Portland-born actress and dancer Victoria Rowell, that provided ballet lessons to students who couldn’t afford them. Taurean was selected. Taurean began by taking classes once a week. 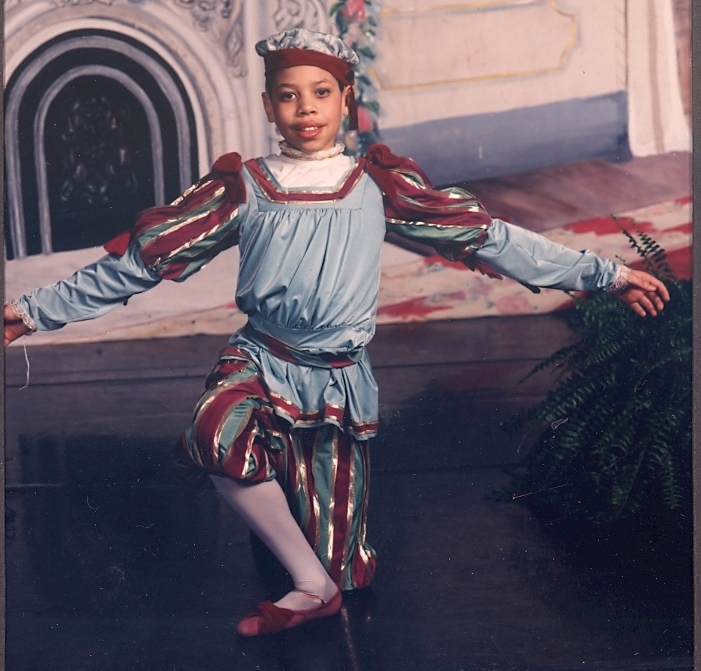 The year after he saw his first ballet, he performed in “The Nutcracker.” “I remember being little and just being absolutely amazed by the backdrops, by being on stage, by the music that was all around me,” he recalled. Taurean quickly progressed to dancing twice a week, three times a week and then nearly every day. He says it was a struggle at times to keep up with his school work. His teachers helped support him in his love for dance even as they insisted that he not lose ground academically. At age 15, Taurean came to a crossroads. At Portland High School, he was running indoor and outdoor track, singing, playing cello and playing soccer in addition to dancing. Taurean won a scholarship to spend a summer training with the San Francisco Ballet. That experience led him to realize that he wanted to become a professional ballet dancer. 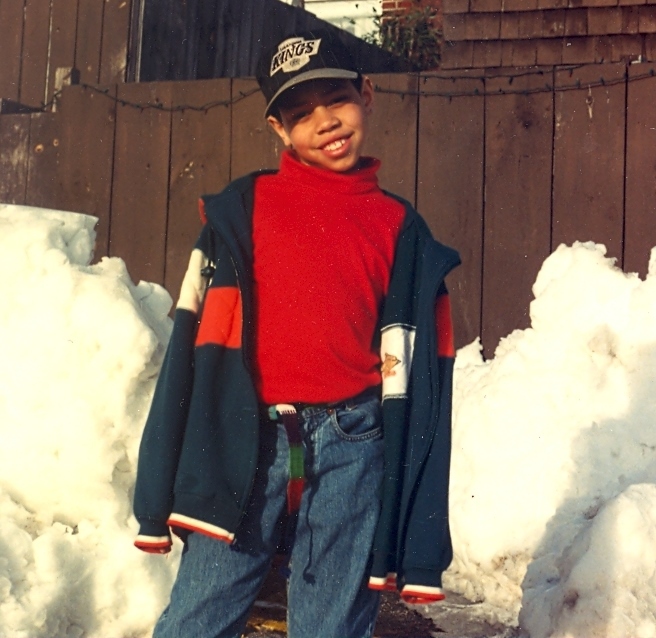 Taurean left school shortly before graduation to pursue his career in New York City. He completed his degree through Portland Adult Education that same year, 2002. After seeing a performance of the Dance Theatre of Harlem, Taurean thought, “That’s it. That’s exactly where I want to be. That’s the real deal for me.” So he auditioned and they took him right away. He performed in his first show at the historic Apollo Theatre. Taurean danced around the world with the company. When the theater went on hiatus due to financial problems, he moved to the West Coast to dance with one of the country’s most prestigious companies, Pacific Northwest Ballet, and a small contemporary company in San Francisco. He returned to New York City in 2011 to rejoin the newly reopened Dance Theatre of Harlem. Taurean Green says that the work ethic he developed as a child in Portland has helped him throughout his career. See a video about Vanessa Graviss. Vanessa Graviss credits her art teachers at Deering High School with pushing her to be creative and expressing confidence in her abilities. As a high school freshman, Vanessa had her home kitchen certified by the state so that she could sell baked goods to bakeries and supermarkets. She built up her business over the next four years, making birthday cakes, cupcakes, even wedding cakes. During her senior year, Vanessa enrolled in the culinary program at Portland Arts and Technology High School (PATHS). Douglas Armstrong, the teacher, helped build up her confidence in the kitchen. She learned everything from the safe way to use equipment to the proper way of addressing a chef. When the program was asked to prepare desserts for school functions, Armstrong often put Vanessa in charge. At PATHS, Vanessa also participated in the student culinary competition run by Prostart. She led a team of four in preparing a three-course meal. They walked away with the second place award. After graduating from high school in 2012, Vanessa enrolled as a baking and pastry major in Lincoln Culinary Institute in Hartford, Connecticut. She’s competed in more events, winning two first-place awards for a cake draped with 18 pink peonies. Vanessa plans to round out her education by working for a while in the restaurant or hotel industry. She hopes someday to become a certified master pastry chef and to open her own bakery.